The Detroit Board of Water Commissioners (BOWC) will have its February meeting at Greater Grace Temple, 23500 West Seven Mile Road on Wednesday, February 20 at 6 p.m. 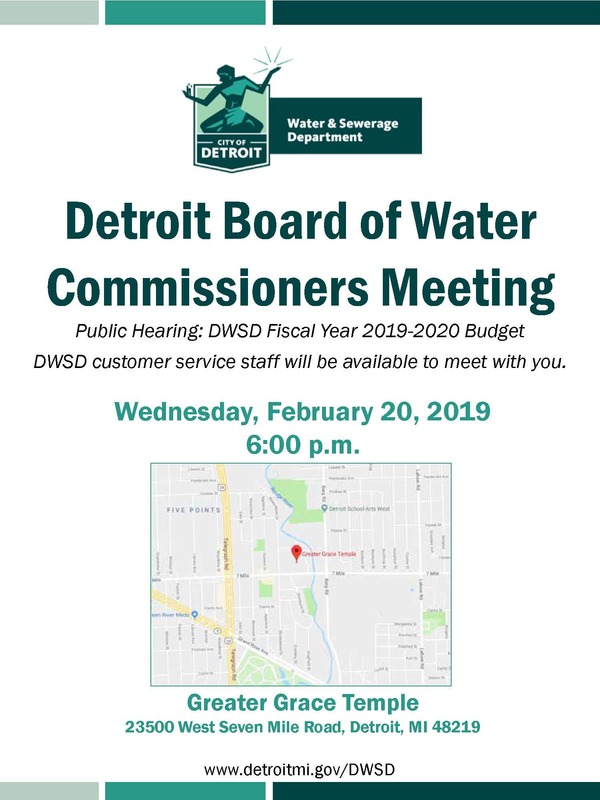 This meeting will also serve as a public hearing on the proposed Detroit Water and Sewerage Department (DWSD) fiscal year 2019-2020 budget. DWSD customer service staff will be on-site to provide assistance. Wednesday, March 20, 2019 at 2 p.m.
Wednesday, October 17, 2018 at 2 p.m.